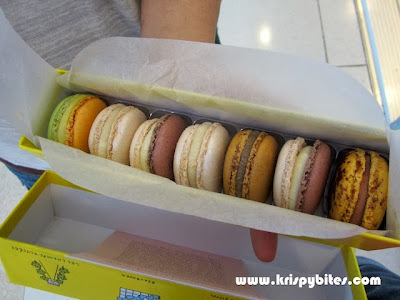 One of my goals in Hong Kong was to try as many brands of macarons as I possibly could. 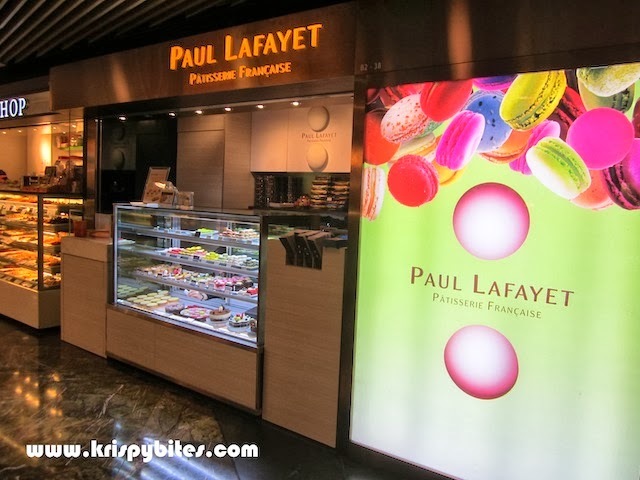 I'm a bit of a macaron fanatic :) The first place I went to was a Paul Lafayet location in the basement of Langham Place Mall (朗豪坊). The macarons here were priced at $18 HKD each (~$2.50 CAD). Considering the relatively low pricing and the fact that Paul Lafayet isn't as famous as some of the big players like Ladurée and Pierre Hermé, my expectations were actually not very high. 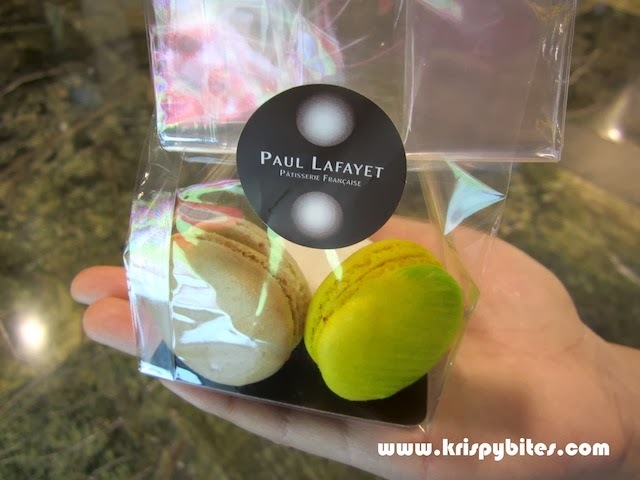 What I found interesting is that Paul Lafayet, being a local brand, offers many fusion flavours including jasmine, oolong, maccha, sesame, yuzu, and lychee. I haven't tried all of the flavours available, but my personal favourite would be the tea-infused ones such as jasmine, oolong and earl grey. In particular, I really enjoyed the delicate and flowery jasmine fragrance, as well as the rich and deep aroma of oolong. The texture of these macarons was also perfect; the meringue cookie held its shape well and had a slight crisp, while the interior was chewy without sticking to the inside of my mouth. After my experience at Paul Lafayet, I was even more excited to visit Pierre Hermé. After all, the more well-known French chain had to be better than the local chain right? Apparently not so. 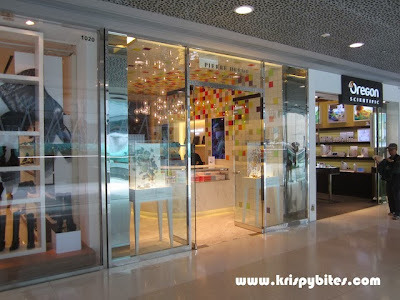 As I stepped into the Pierre Hermé location at IFC, I was greeted by a group of stuck-up girls behind the counter. Their attitude and tone of voice all conveyed the same message — that this store was too posh for me. When I took out my camera, they told me I was not allowed to take pictures. When I tried to order a macaron, they said I had to buy a minimum of 7. I understand that's store policy, but way to make your customers feel like they're not worthy of consuming your product. Anyway I bought a box of 7 ($210 HKD ~ $28 CAD), and I swear half of that money must have gone into the packaging. 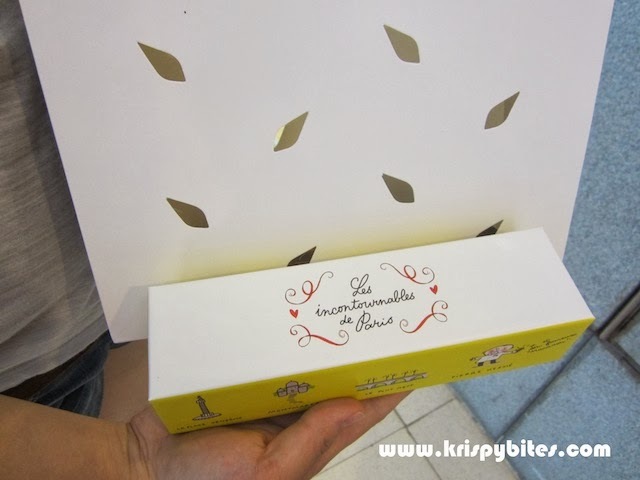 The packaging was very elaborate — a fancy paper bag with cut-out patterns, a solid cardboard box with beautiful colours and print, and even sheets of parchment paper that fit perfectly inside the box for wrapping up the macarons. I can't even begin to describe how disappointing these macarons were. I could not take them out of the box without the shell breaking; the meringue cookie crumbled at the slightest touch. As I bit into the first macaron, I realized the shell was completely soggy and damp, and the filling did not offer any sort of chewiness. The whole thing was a soft creamy mess. The flavours were also hit or miss. Some just didn't taste good, and even the ones that were ok were ruined by the texture. I don't know if the quality of macarons differs between different Pierre Hermé locations, but I didn't feel like spending another $28 CAD to find out. I'm just really surprised because I've heard so many good things about this brand. But I suppose it works out for me because instead of being addicted to $4 CAD macarons, I went back to Paul Lafayet numerous times throughout my trip for their delicious $2.50 CAD macarons.